Feb. 2, 2011 - PRLog -- Emilie P. Bush is a former host of Georgia Public Broadcasting's "Georgia Gazette". 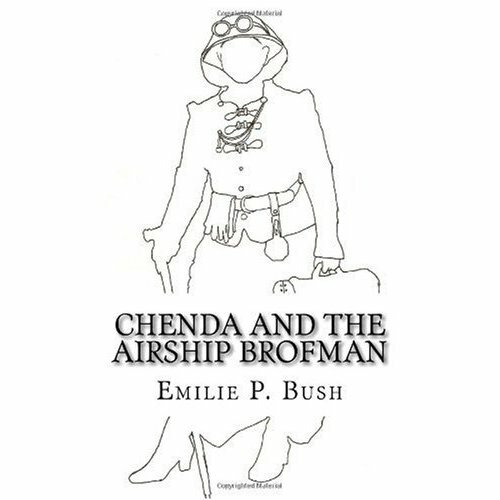 A journalist and writer, "Chenda and The Airship Brofman" is her debut novel and was a finalist in the 2010 Amazon Breakthrough Awards. The booksigning will be Saturday, February 5, 2011, at The Little Shop Of Arts And Antiques, located in the heart of Old Town Lilburn, at 94 Main Street NW, Lilburn, Georgia, 30047. The shop's hours are 11am to 5 pm, booksigning runs from noon until 3 pm. Event is open to the public. Books will be for sale for autographing session. In addition to the booksigning, this is a Steampunk meet up, and the author, Emilie P. Bush, will give a reading from her book. To learn more about the book and Steampunk, visit Emilie P. Bush on her website: http://www.site.coalcitysteam.com/ . Reviewers hail this book as "Steampunk! with a feminist twist! A ripping good yarn!" The Little Shop Of Arts And Antiques opened in January 2011. Author and antiques dealer, Barbara Barth, has combined her love of antiques and the arts in this charming little shop. In addition to selling small cottage style antiques, one-of-a-kind vintage gifts, antique and artist made jewelry, the shop is a writer and artist guild. This is the first of many book signings being scheduled for the shop. The shop opened on January 22nd with a fundraiser for Friends of Dekalb Animals and an exhibit of photographs of Haiti, by metro Atlanta author and photographer, Cheryl Lewis. Money from the sale of the photographs will go to help educate children in Haiti. Sales from the shop on opening day were donated to the dog rescue group. View Cheryl Lewis' stunning photographs and read her story of Haiti on her website: http://www.cheryllewis.com/. If you are an artist or an author, in the Atlanta area , interested in having an event at The Little Shop Of Arts And Antiques, contact the owner, Barbara Barth through the shop's website at http://thelittleshopofartsandantiques.com/ . About Writer With Dogs. Writer With Dogs is part of the newly formed Gilbert Street Press, an independent publishing company specializing in non-fiction.